We take pride in our pressure sensors and like to show what they can do. 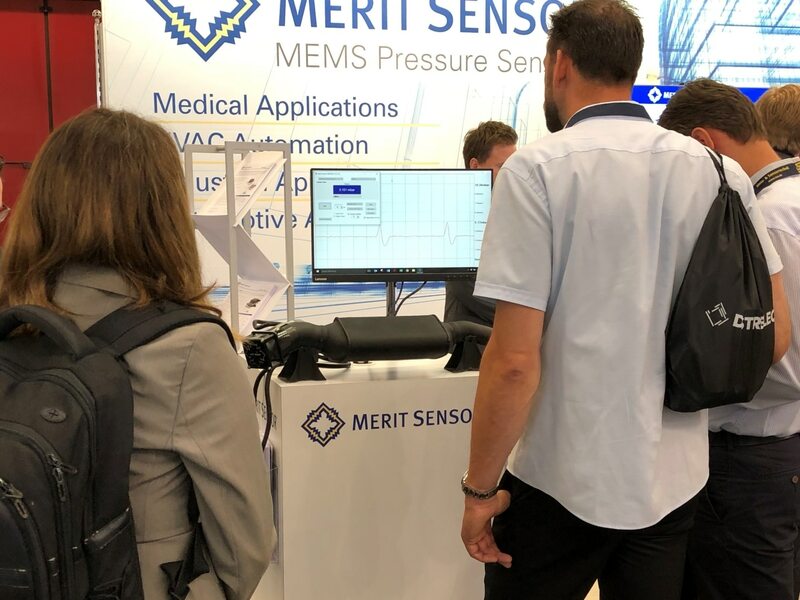 Recently at the Sensor+Test trade show in Nuremberg, Germany, we used a diesel-particulate filter (DPF) to demonstrate how our sensors can be used to indicate when a DPF is clogged with particulate and needs to be regenerated. A couple of our senior engineers integrated one of our pressure sensors into a modern-day DPF. This engineering work included designing and 3D printing a coupler to connect a fan to the input end of the DPF, simulating the flow of exhaust; 3D printing a custom fan guard and generic housing for the pressure sensor; and programming a microprocessor to vary the fan speed automatically. Our TR Series is an ideal choice for the DPF because it is impervious to harsh media, such as exhaust, and contains a MEMS die that ranges from 0 to 500 psi. For this application the MEMS die in the TR Series would be produced in a gage configuration, enabling it to measure pressure from the backside as well as the top side. The TR Series would then be calibrated for a differential output. The main purpose of this demonstration was to show another one of our solutions to a real-world application. The DPF is just one of many applications for which our products are designed. We thrive on understanding our customers’ applications and providing the best solution for each one.